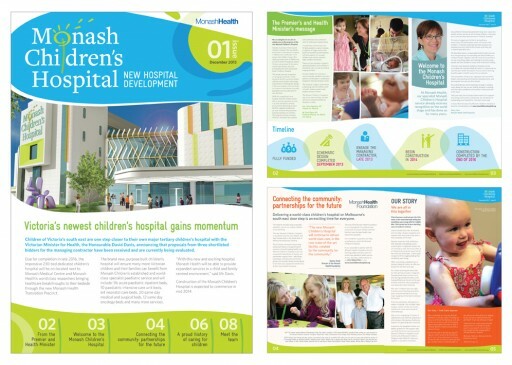 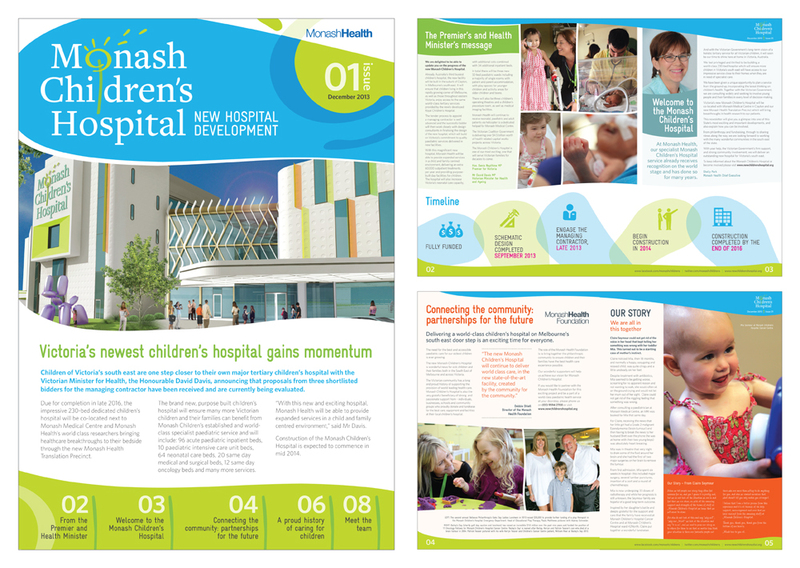 Monash Children’s Hospital new hospital development 8 page A4 quarterly newsletter, December 2013, issue #1. 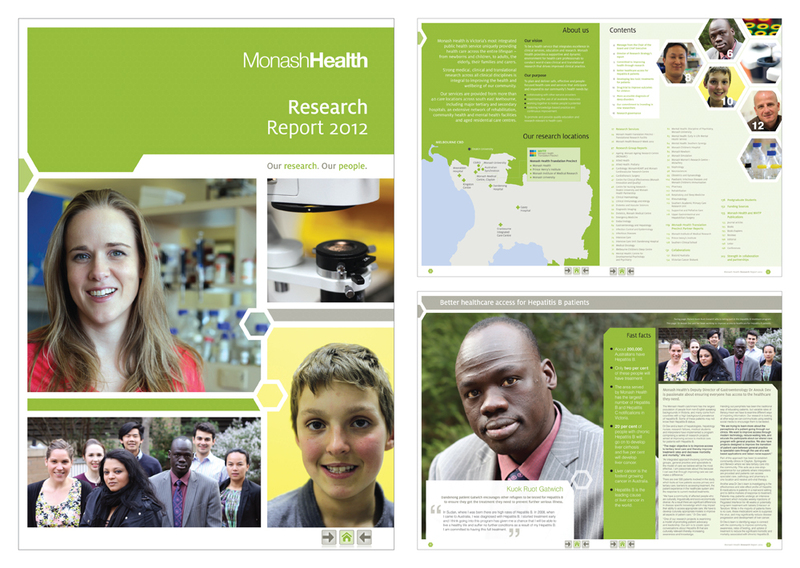 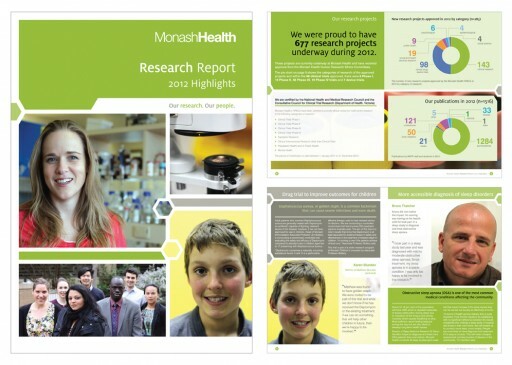 Monash Health 16 page A5 2012 Research Report Highlights brochure. 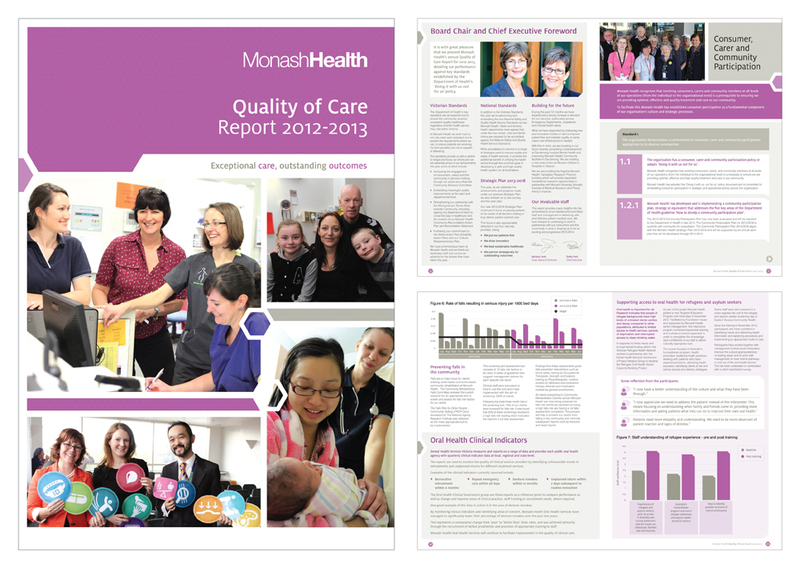 Monash Health 62 page A4 2012-2013 Quality of Care Report.